Israeli documents have revealed that the Israeli army deliberately adopted a policy based on the destruction, vandalism and harm of the sanctity of churches in Palestine, during and after the 1948 war. An Israeli book, which will be published next month, explains how the Israeli army carried out seizure and destruction operations against churches located in the Palestinian cities, towns and villages the army took control off after expelling their people. The book, which will be published by the Moshe Sharett Heritage Society, is based on the statements and testimonies of former Israeli Prime Minister and Foreign Minister, Moshe Sharett, regarding the brutal attacks on Palestinian churches. 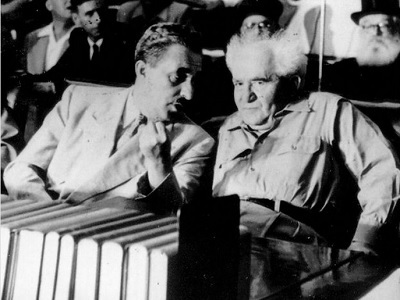 According to the book, which Haaretz newspaper published excerpts from, Sharett, in his capacity as foreign minister, strongly criticized the policy of destruction and looting adopted by the Israeli army during the meeting held by the government under the presidency of David Ben-Gurion on 5 July 1949. 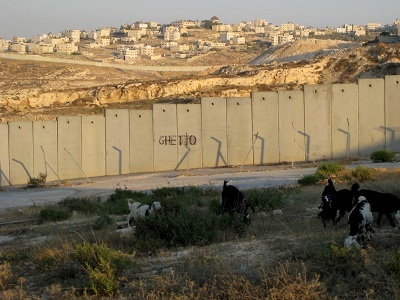 The author of the book mentions that Sharett’s description of the actions committed by the Israeli army against the churches was not only limited to his participation in government meetings. Instead, he took advantage of every partisan meeting with the representatives of this political party, Mapai, to describe what he considered “heinous acts” committed against churches. This book also revealed that Sharett compared Israel, which allowed such acts, to “an evil and brutal Caesar that promotes nothing but destruction.” He added: “The soldiers and officers turned the churches to toilets where they would tend to their needs.” The book also goes on to reveal that Sharett told members of the Mapai party, in a meeting in July 1949, that Israel deliberately declared the areas containing churches as military zones in order to justify its refusal to allow foreign visitors and tourists to enter these areas and churches in an attempt to prevent them from witnessing the army’s heinous violations. Sharett also said that the soldiers stole a very valuable crown made of precious stones from one of the churches. He also noted another incident where the soldiers broke the hand off a sculpture of Jesus in one of the churches in order to steal the gold bracelets that were on it, as an example of the systematic looting and stealing from the churches which lasted for months. He stressed that the Israeli officers and soldiers also intentionally harmed the sanctity of the churches and tore holy books, mentioning that the acts of destruction committed against the churches were not only committed by the officers and soldiers, but also by many settlers, especially those who newly immigrated. Haaretz newspaper reported that the Israel State Archive revealed the archives from the government meeting on 5 July 1949 after omitting 30 sentences said by Sharett during the meeting in which he described the atrocities committed against the churches. The revelation of the Israeli army’s acts against the churches has gained great attention in light of some Jewish religious figures expressing their support for the burning of churches committed by Jewish terrorist groups. According to these religious figures, Christians should not be allowed to perform their religious rituals, as they consider Christianity “a form of paganism”. Large groups of religious Israeli youths have adopted these convictions, and this is cited by the fact that the Hilltop Youth Jewish terrorist organisation graffitied the walls of a church in occupied Jerusalem early last week with phrases threatening the killing of Christians in the city. Every chapter in Jewish, Bolshevik and political, economical and banking history, is a SHAMEFUL one. True (caring, sincere) Jews have been hi-jacked by SATANIC Talmud evil and corrupt forces. The kill and plunder GLEEFULLY, all that represents family, lifestyle, Palestine, world harmony, concern and compassion… and label it, falsely as ANTISEMITISM. While, they the ZONISTS, carry out worse atrocities than they FALSELY accuse the National Socialists of ever performing. One would think that , given the long history of God’s interaction with ‘His People’, recorded in the Torah, and in fairly-recent history, the notion of deviating from His strictures would be very much in mind. Obviously there are a good number of modern-day Jews in high places who ascribe to the notion of the ‘cosmic muffin’ , or the myth of religion described by ‘thinkers’ like Neitzche, Marx and Dawkins. But even they have to recall that Israel’s existence and presence where it is to-day is predicated on a notion of ‘divine right’. HOW The Zionists keep British Prime Minister Cameron in check. as a 1990s Carlton TV PR executive.